I have shared many types of featured related post widgets for blogger having different styles such as Linkwithin related post widget, n-relate related posts widget etc. As this widget is used and searched on internet very often. Related post widget is added in order to increase blog traffic because with the help of this widget visitors are able to see similar posts and read them which helps in increasing page-views. You can add this gadget in two styles either only links and also with thumbails. You can earn money with this widget also. 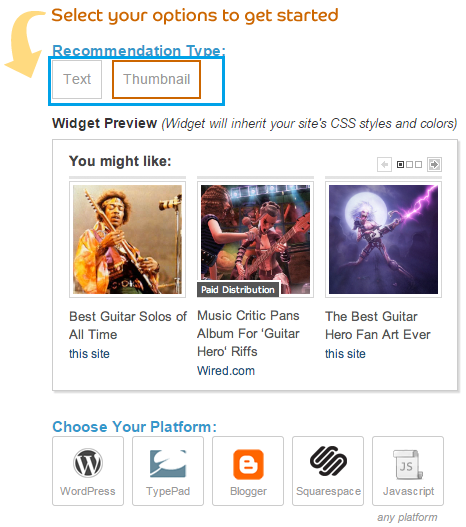 Step 1- Go to https://my.outbrain.com/getwidget , select blogger as your platform and fill out the information asked e.g username, password, Email and blog url as registration is needed for this widget. Step 4- Click on add widget and you are done, check out your related posts below your posts. Make sure to log-in to your outbrain account before adding widget. 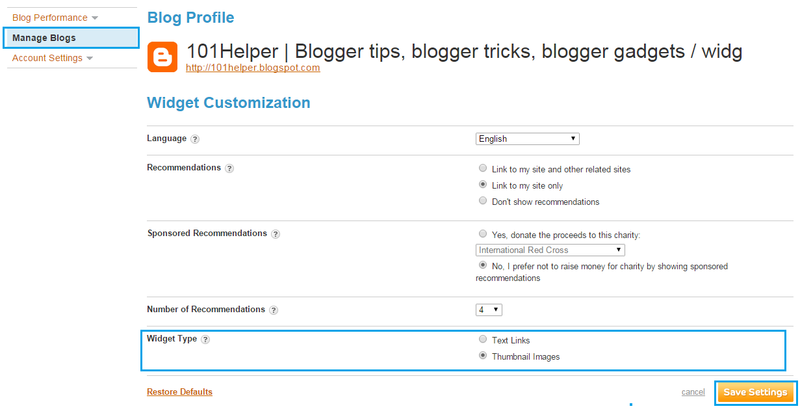 Step 2- Select blogger as platform and add widget to your blog by following above mentioned steps. Generally I always share customization method in every post while sharing a widget but this widget can't be customized so you can't customize it. Search tags: Related post showing gadget, how to add related posts widget in blog, how to earn money with widgets, Simple related post widget with thumbnails and links for blogger, 101Helper blogger widgets.